Investigation Update: At about 11:26 AM on Friday November 30, 2018, officers assigned to District A-15 (Charlestown) responded to a call for a bank robbery in the area of 5 Austin Street in Charlestown. During the incident, a male suspect entered the bank, pushed aside an elderly customer who was waiting in line and pointed a firearm at a teller while demanding cash. The suspect then fled in an unknown direction with an undisclosed amount of cash. 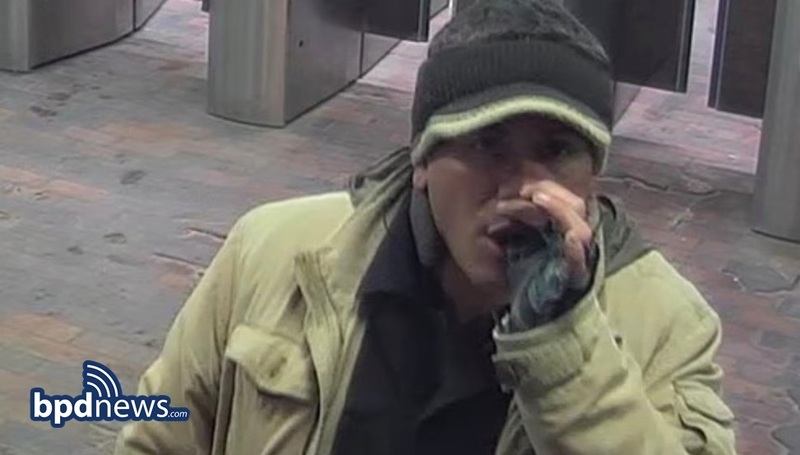 During the course of their investigation, members of the Bank Robbery Task Force identified Thomas Hickey, 49, of Boston, as the person responsible for the crime. At about 12:30 PM on Thursday December 6, 2018, officers located the suspect walking in the same area on Austin Street approaching Rutherford Avenue at which time he was placed in custody without incident. The suspect will appear in Charlestown District Court on charges of Armed Robbery (Bank), Assault and Battery on an Elderly Person and Assault by Means of a Dangerous Weapon. 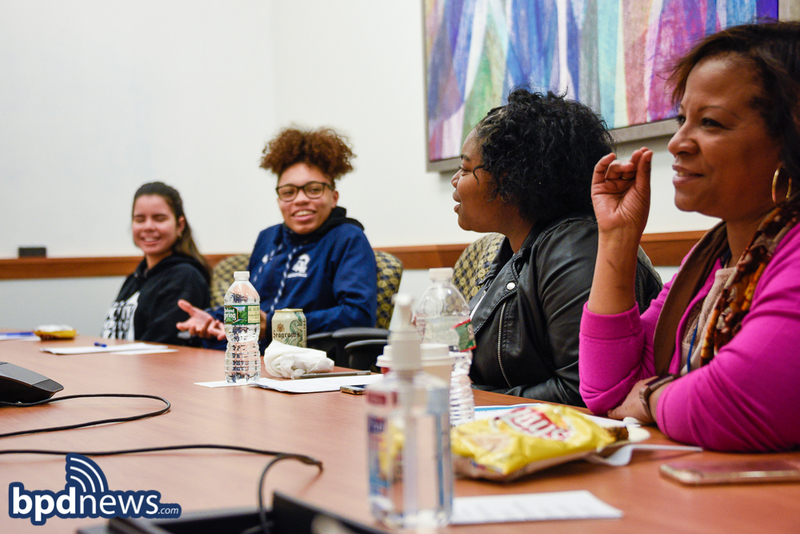 MAKING BOSTON BETTER: On Tuesday, October 30, 2018, the youth leadership group, We Belong, kicked off this year’s meeting at the Schrafft's building in Charlestown. 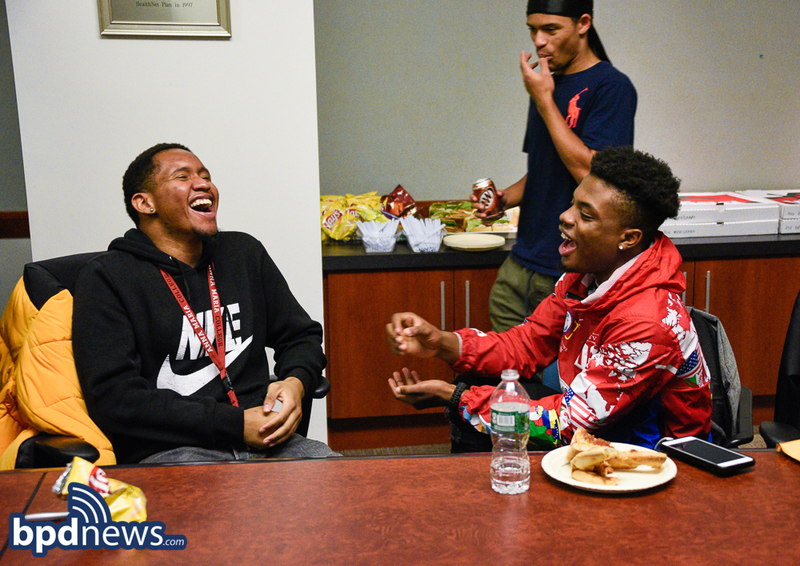 The group serves young men and women in the city of Boston, helps deepen leadership skills, and explore’s civic engagement opportunities within and beyond all neighborhoods in the city. After some ice-breaking activities, the group discussed the importance of words, the impact of the words they use and how to advocate for themselves and each other. According to our officers, everybody was engaged, insightful and committed to making our city a better, more inclusive place for all. BPD in the Community: Captain Phil Terenzi Participates in ‘Big Cheese Reads’ Program: Captain Phil Terenzi had a wonderful time reading to the kids at the Edwards Middle School in Charlestown earlier today, October 24, 2018, as part of the Big Cheese Reads program which is an educational initiative that invites business, cultural and community leaders to read to students in the Boston Public Schools while simultaneously emphasizing the undeniable correlation that exists between literacy and future achievement and career success. BPD IN THE COMMUNITY: This morning, Friday. October 5, 2018, officers and kids had a great time giving each other high-fives to start the school day. Even some parents and teachers gave the officers high fives too! 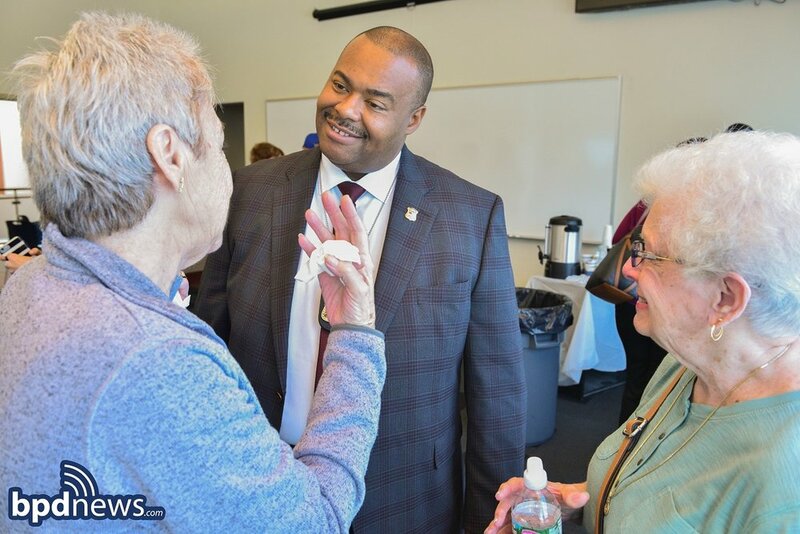 BPD in the Community: Great Time Had by All at Coffee with a Cop in Charlestown: Thanks to everybody who stopped by District A-15 in Charlestown earlier today, Friday, September 21, 2018, for Coffee with a Cop. Commissioner Gross, Captain Kenneth Fong and the officers assigned to District A-15 had a wonderful time making new friends while interacting with and talking to community members in the area. 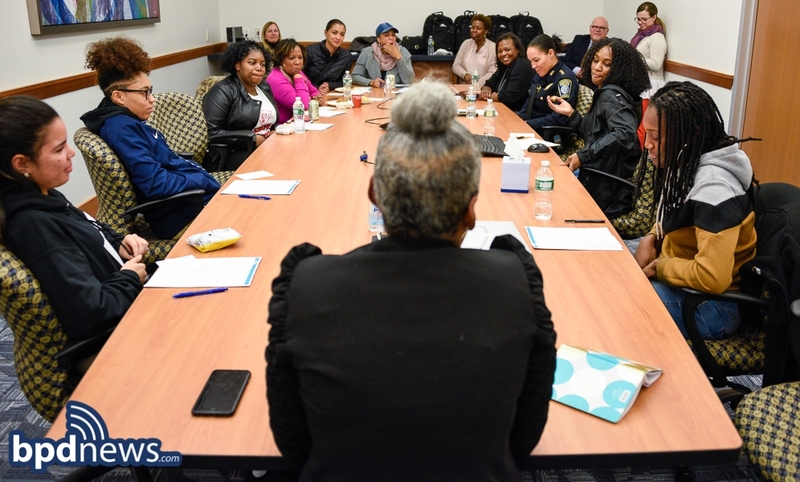 Coffee with a Cop is all about creating a friendly, informal setting where officers and community members can come together in an effort to better understand issues and concerns impacting the neighborhood in ongoing efforts to work together while making our city one of the safest big cities in America. If you are interested in learning about starting a Neighborhood Watch Group or interested in attending a future Coffee with a Cop event, we’d love to hear from you. For more info, please call (617) 343-4345. UPDATE: Victim Identified in Death Investigation in the area of 75 Alford Street in Charlestown At about 3:41 AM, on Thursday, September 6, 2018, officers assigned to District A-15 (Charlestown) responded to a call for an assault in progress in the area of 75 Alford Street in Charlestown. On arrival, officers located an adult male victim suffering from undetermined traumatic injuries. The victim was declared deceased on scene. The victim has since been identified as Joshua Eric Rivera, 54, of Northampton. The Boston Police Department is actively reviewing the facts and circumstances surrounding this incident. Anyone with information is strongly urged to contact the Boston Police Homicide Unit at (617) 343-4470. DEATH INVESTIGATION: At about 3:41 AM on Thursday September 6, 2018, officers assigned to District A-15 (Charlestown) responded to a call for assault in progress in the area of 75 Alford Street in Charlestown. On arrival, officers located an adult male victim suffering from undetermined traumatic injuries. The victim was declared deceased on scene. One Less Gun: At about 7:35 PM on Monday, September 3, 2018, officers assigned to District A-15 (Charlestown) conducted a traffic stop resulting in the recovery of a firearm and two arrests. While on directed patrol in the area of Medford Street and Decatur Street in Charlestown, officers observed a motor vehicle with excessive window tints. An additional traffic infraction allowed officers to conduct a traffic stop. An exit order was issued due to the actions of the operator who appeared to be extremely nervous of the officers’ presence. Upon exiting the vehicle, officers observed the operator to be in possession of a firearm, located in his waistband. Officers recovered a loaded Walther P99 .40 caliber firearm and ten rounds of live ammunition. The operator, later identified as Lukasz Zajkowski, 33-years-old of Dorchester was taken into custody. A passenger identified as Darien Everett, 36-years-old of Hyde Park, was also placed under arrest. Zajkowski is charged with Unlawful Possession of a Firearm, Possession of a Loaded Firearm, Unlawful Possession of Ammunition, and Larceny of a Firearm. Everett, on a court issued GPS monitoring device, is charged with a probation violation. Both suspects are expected to be arraigned in Charlestown District Court. On Thursday, July 5, 2018, in a joint effort between Boston Police Department A-1 detectives, S.I.U., S.W.A.T., and members of the Boston Regional Intelligence Center, Brandon R. McCallop of Boston was arrested and charged with Armed Robbery while Masked. In the past month, members of the Boston Police Department investigated three separate armed robberies that occurred at stores in Charlestown. In each incident, the victim reported they were robbed at gunpoint by a man with small dark eyes. The victims all gave similar descriptions of the suspect, his clothing, and his behavior. Investigators worked quickly to make these connections, gather evidence in each case, and were able to identify a suspect. Armed with three arrest warrants for masked armed robbery and a search warrant for the body of Brandon McCallop, members of the Boston Police Department secured the perimeter and made entry at 84 Walnut Av. where McCalop was arrested without incident. At about 11:21AM on Thursday, June 28, 2018, officers assigned to District A-1 (Downtown) responded to a call for a bank robbery in progress at the Cambridge Savings Bank, located at 1 Thompson Square, Charlestown. Upon arrival officers learned that a white male, 5’8”to 6’, wearing a white ski mask, white gloves had just robbed the bank and fled on foot. The money stolen contained a GPS tracker and was being tracked in the area of Laurel Street and Cedar Street moving toward Bartlett Street. Officers patrolling the area of Bartlett Street began following the GPS directions being broadcast by the 911 dispatcher. While on Bartlett Street approaching Walker Street, officers observed one white male, about 5’8”, wearing a red jacket and black pants, walking across Walker Street beside the Clarence R. Edwards Middle School. Officers observed the suspect as he continued to check back over his shoulder. Upon seeing the approaching Boston Police cruiser, now about 10 feet from him, the suspect, later identified as, Robert Brady, 40, of Charlestown, immediately broke into a sprint, running away from the approaching officers. The officers engaged in a foot pursuit and commanded Brady to stop. Officers observed a large bundle of US Currency partially stuffed in Brady's front pants. Robert Brady was placed under arrest for Armed Bank Robbery. Officers recovered an undisclosed amount of US Currency, 2 GPS tracking devices, and 1 torn money band. Robert Brady will be arraigned in Charlestown District Court. Earlier this week, on Tuesday, June 26, 2018, the Charlestown Coalition dedicated the Charlestown Peace Park to those that have died as a result of homicide or overdose. After the dedication, officers assigned to District A-15 (Charlestown) and members of BPD's Neighborhood Watch Unit joined the organizers and participants in a Walk for Peace through the neighborhood. During the booking process, the suspect was found to be in possession of several personal papers and credit cards belonging to person/victim who lived in the area of St. Martin Street. While returning the personal papers and credit cards to its rightful owner, the owner of the stolen property directed officers to the motor vehicle where the items had been stolen from. While looking through the car, officers observed and confiscated a black handgun, later shown to be a pellet gun. Officers arrested Kewin Paul, 19, of Boston and charged him with Armed Home Invasion, Assault by Means of a Dangerous Weapon (Gun) and Receiving Stolen Property. Yesterday morning, Tuesday, May 15, 2018, retired Boston Police Captain Paul Ivans and officers from District A-1 (Downtown) and District A-15 (Charlestown) presented three-year-old Jonathan McCollum, Jr. and his parents with a generous check from Cops for Kids with Cancer at the District A-15 Neighborhood Police Station. And of course, little Jonathan, who has been fighting Leukemia, was thrilled to receive the officers’ gifts of toys and trucks! Since the inception of CFKWC in 2008, the organization has provided the families of children who have cancer with over 2.5 million dollars, and it continues, day-in and day-out, to raise money to assist in donating funds for treatment and other needs that these families may encounter during their fight against this disease. For more information on Cops for Kids with Cancer, click on this LINK. At about 12:10 PM on Friday, April 20, 2018, officers from District A-15 (Charlestown) responded to a call for an emotionally disturbed person inside 106 Walford Way. Upon arrival, officers learned that a 57-year-old male had barricaded himself inside an apartment and ripped a gas line from the wall. As officers made entry into the apartment, they observed the male trying to ignite a cigarette lighter inside the room with the gas leak. Officers were able to quickly and tactically enter the residence and, using the less-lethal, Super Sock round shotgun, disarmed the male and placed him into custody. The male was transported by EMS to an area hospital for evaluation, and officers will seek complaints against him for Attempted Arson, Assault by Means of a Dangerous Weapon, and Disorderly Person.